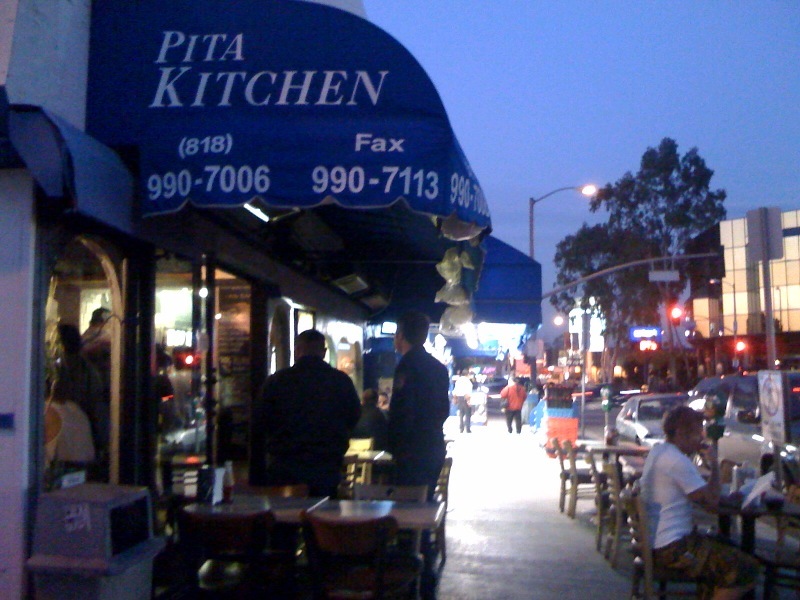 On the corner of Van Nuys and Ventura Blvd., there is what I’d like to call a little “gem” spot—Pita Kitchen. It is a tiny, cobble-stoned, hole-in-the-wall that has great Middle Eastern food; famously known for their shawarma meats and pita sandwiches. Being from Middle-Eastern descent, there are times I crave a good pita with flavorful meat, hummus and salad. There aren’t many great spots around where I live and nothing is obviously better than going to Israel and getting a shawarma pita on the street, but there are a few spots in the LA and surrounding areas where they have good Middle Eastern food. Pita Kitchen is one of them. After a beautiful day bike riding on the boardwalk at Venice Beach to the Santa Monica Pier, and enjoying the warm sunset on the beach in the middle of January, I built up an appetite and decided to head back to the valley and grab something to eat. I hadn’t been to Pita Kitchen in a long time, so it seemed appropriate. I usually order their “laffa bread” sandwich wraps with shawarma, but this time I decided to order the chicken shawarma plate. They have great fries and good Middle-Eastern salads, hummus, tahini and other sauces. Everything is legit at Pita Kitchen, so if you like this type of food, I recommend this place. It’s fast and pretty cheap- a great, tiny, hole-in-the-wall, which are my favorite types of places!